Skipper Virat Kohli slammed another brilliant double hundred to surpass Sir Don Bradman's record by achieving record fourth 200 in 4 successive series. 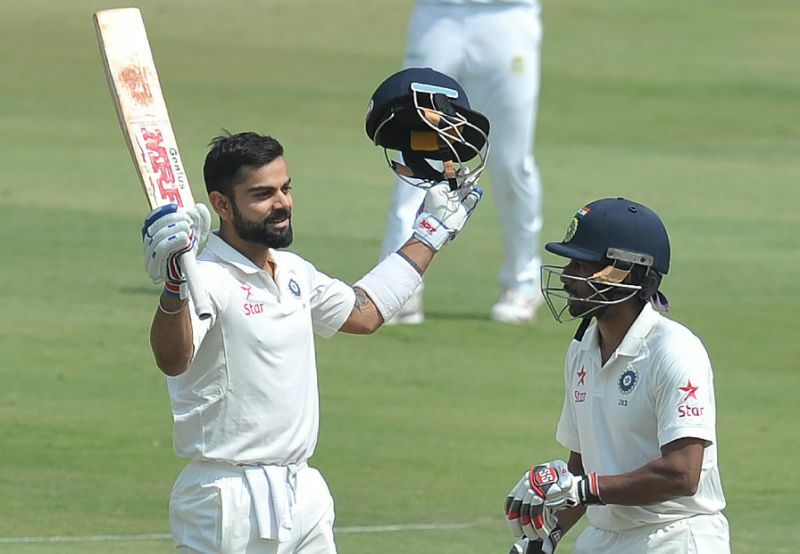 Hyderabad, Feb 10: Another brilliant double hundred from skipper Virat Kohli and a shining century from Wriddhiman Saha enabled hosts India declared their first innings at 687/6 against Bangladesh on second day of the one-off Test at the Rajiv Gandhi International Stadium here on Friday (Feb 10). Earlier, resuming the day at a personal score of 111, Kohli completed his career's fourth double hundred immediately after lunch to become first Indian skipper to hit four double tons.